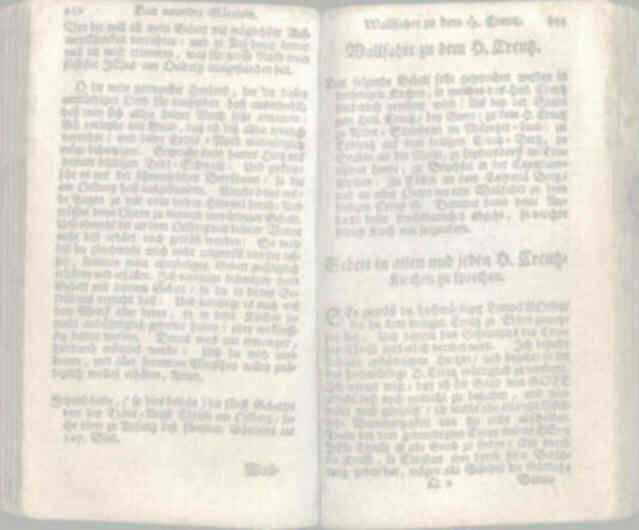 This is a list of some of the books and Internet links used as sources for the definitions and etymologies in Robb's Language sites including German English and Invented English Words in German. Souces of the quotations are given in the entries themselves. You can order most of the books cited through Amazon simply by clicking on the titles. Aurand, A. Monroe, Jr., Quaint Idioms and Expressions of the Pennsylvania Germans, 1939, The Aurand Press, 32 pp. Bahlow, Hans, Deutsches Namenslexikon: Familien- und Vornamen nach Ursprung und Sinn erkl�rt, 1991, Gondrom Verlag, 576 pp. Beale, Paul, Partridge's Concise Dictionary of Slang and Unconventional English: From the Work of Eric Partridge, 1989, Macmillan, 534 pp. Bluestein, Gene, Anglish/Yinglish: Yiddish in American Life and Literature, 1998, University of Nebraska Press, 164 pp. Brockhaus Illustrated Dictionary, English-German, German-English, Eighth Edition, 1978, F. A. Brockhaus, 1453 pp. Bryson, Bill, The Mother Tongue: English and how it Got that Way, 1990, HarperCollins, 270 pp. Buchanan-Brown, John, et al., Le Mot Juste: A Dictionary of Classical and Foreign Words and Phrases, 1991, Vintage Books, 170 pp. Duden, Band 7, Etymologie: Herkunftswörterbuch der deutschen Sprache, 1997, Dudenverlag, 840 pp. Funk & Wagnalls Standard Desk Dictionary, Volumes 1 & 2, 1979, Funk & Wagnalls, 878 pp. Johnson, Frederick, A Standard English-Swahili Dictionary, 1982, Oxford University Press, 635 pp. Johnson, Frederick, A Standard Swahili-English Dictionary, 1982, Oxford University Press, 548 pp. Knapp, Robbin D., German English Words: A Popular Dictionary of German Loanwords in English, 2005, RobbsBooks.com, 172 pp. Random House Dictionary of the English Language, The, College Edition, 1968, Random House, 1568 pp. Stiberc, Andrea, Sauerkraut, Weltschmerz, Kindergarten und Co.: Deutsche Wörter in der Welt, 1999, Herder, 184 pp. Webster's New Encyclopedic Dictionary, 1993, Könemann, 1787 pp. Webster's New World Dictionary of the American Language, College Edition, World, 1722 pp. Adams, Willi Paul, Lavern J. Rippley, & Eberhard Reichmann, The German-Americans: An Ethnic Experience, 1993, Indiana University Press, 46 pp. Adeleye, Gabriel, World Dictionary of Foreign Expressions: A Resource for Readers and Writers, 2000, Bolchazy-Carducci, 411 pp. Ayto, John, Dictionary of Word Origins: Histories of More Than 8,000 English-Language Words, 1993, Arcade, 592 pp. Bliss, Alan, Dictionary of Foreign Words and Phrases in Current English, 1992, Warner Books, 389 pp. Bryson, Bill, Made in America: An Informal History of the English Language in the United States, 2001, Perennial, 417 pp. Ehrlich, Eugene, You've Got Ketchup on Your Muumuu: An A-To-Z Guide to English Words from Around the World, 2001, Owl Books, 285 pp. Flippo, Hyde, The German Way: Aspects of Behavior, Attitudes, and Customs in the German-Speaking World, 1996, McGraw-Hill, 144 pp. Frost, Helen, German Immigrants, 1820-1920: Coming to America, 2001, Blue Earth Books, 32 pp. Galicich, Anne, The German Americans: The Immigrant Experience, 1996, Chelsea House Publishing, 127 pp. Guinagh, Kevin (ed. ), Dictionary of Foreign Phrases and Abbreviations, 1983, H. W. Wilson, 261 pp. Metcalf, Allan A., The World in So Many Words: A Country-By-Country Tour of Words That Have Shaped Our Language, 1999, Houghton Mifflin, 320 pp. McKean, Erin (ed. ), Weird and Wonderful Words, 2002, Oxford University Press, 144 pp. Pfeffer, J. Alan & Garland Cannon, German Loanwords in English: An Historical Dictionary, 1994, Cambridge University Press, 415 pp. Phythian, B. A. (ed. ), A Concise Dictionary of Foreign Expressions, 1984, Rowman & Littlefield, 147 pp. Speake, Jennifer (ed. ), The Oxford Dictionary of Foreign Words and Phrases, 2000, Oxford University Press, 526 pp. Swiderski, Richard M., The Metamorphosis of English, 1996, Bergin & Garvey, 160 pp. Tolzmann, Don Heinrich, The German-American Experience, 2000, Humanity Books, 466 pp. Urdang, Laurence (ed. ), Loanwords Index: A Compilation of More Than 14,000 Foreign Words, 1983, Gale Group, 482 pp. Urdang, Laurence, & Frank R. Abate (eds. ), Loanwords Dictionary, 1988, Gale Group, 324 pp. Zug, John D., & Karin Gottier (eds. ), German-American Life: Recipes and Traditions, 1991, Penfield Books, 208 pp.